Sick and Tired of Sick and Cranky Kids? Does it feel like your kids have been sick all winter? Are you ready for the germs to be gone so you can get your lives back on track? I felt like that too, until my friend introduced me to Young Living and Essential Oils, and now life couldn’t be more different! So today I’m paying it forward by introducing you to Young Living too. If you’re sick and tired of your kids being sick and cranky you definitely need to take a little time out of your day to watch this short video or scroll down to read all about the easiest and most affordable way to get started with oils. 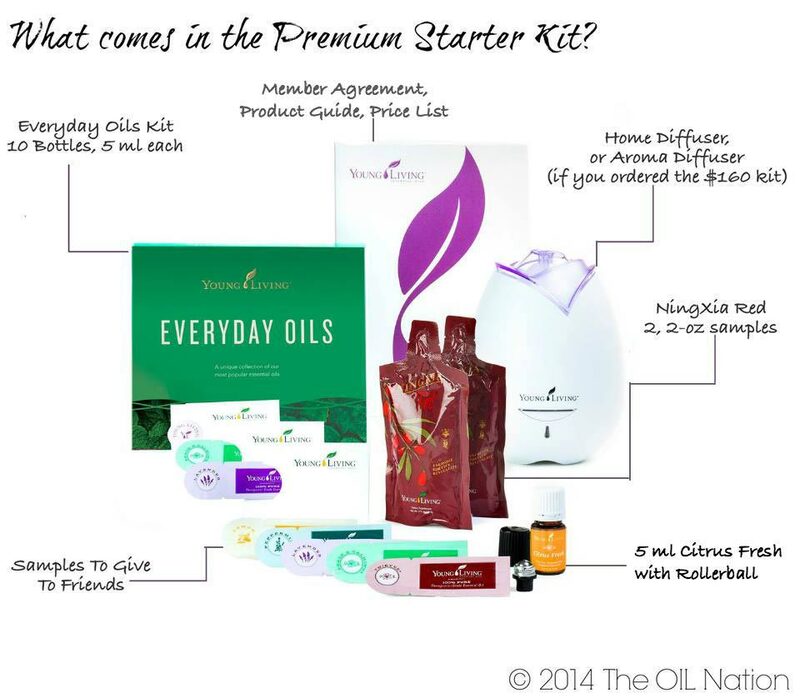 We recommend the Premium Starter Kit because it gives you everything you need to get started, and the uses for the oils in this kit are endless! The Premium Starter Kit has a $249.50 value, but you will get it for just $150 (wholesale membership/100PV). Plus if you enrol with us this month we’ll send you a fabulous educational package to help you get started on your oily journey. The kit we recommend for EVERYONE is the Premium Starter Kit. 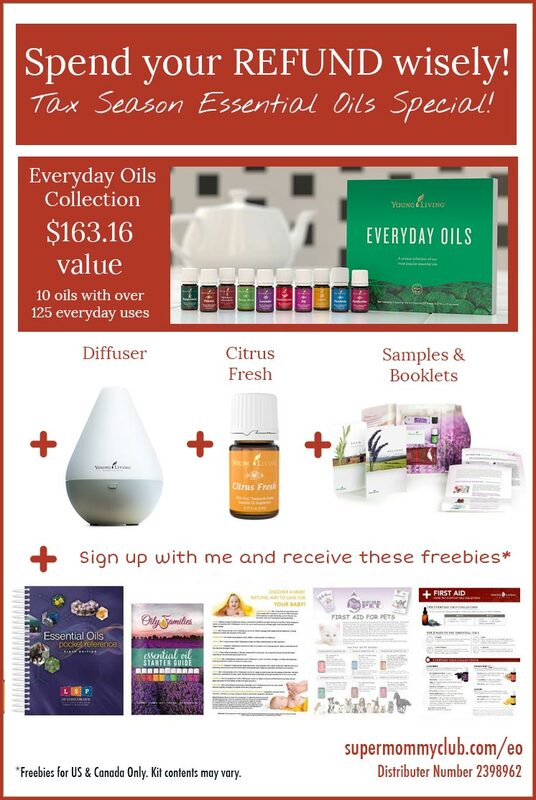 There are other options but this is the best value for money and gives you access to the Everyday Oils collection, which includes oils (like Lavender and Thieves) that you really will use every day! Here’s a closer look at those fabulous bottles of oils. Don’t be fooled, they are not samples. There is enough oil in those bottles to keep you going for a few weeks. You will get all of the following in your starter kit: 5ml bottle of Peppermint, Lavendar, Lemon, Frankincense, Tea Tree Oil, Stress Away, Thieves, Pan-Away, Purification, and Joy. Did you know that the small bottle of Frankincense would cost almost $70 alone? WOAH! Talk about value! You also get 2 sample packs of the 5 most popular oils (Thieves, Peace and Calming, Lavender, Lemon, and Peppermint). These samples are great to give to friends and family members who might be interested in your stories about oils, or they’re just as perfect to drop into your purse or diaper bag so you always have your oils right where you need them! You also get the diffuser and an extra bottle of Citrus Fresh! Did I mention the diffuser? I LOVE my diffuser! It really is a great way to benefit from all the goodness in the oils. And that diffuser alone retails for more than $100! And you get it for free inside your Premium Starter Kit. Seems like a steal to me! When you sign up you will see two other starter kits on the page. One costs $40 and one costs $75. The $40 kit only has the samples (no diffuser or those 11 essential oil bottles) and the $75 kit comes with the diffuser, but not the oils. If you are completely strapped for cash and you HAVE to try the oils right now then we might suggest the $40 kit. But I have never known anyone that didn’t end up with the $150 kit down the road. I’d actually suggest you bookmark this page and come back in a couple of months when you’ve saved enough to buy the full kit. Seriously. It’s the best value and will save you money in the long run. Now simply click on the button below to start the enrolment process. Click here if you need help completing the form. Got questions? Click here to send me an email. As I mentioned in the video, in order to give you even more confidence to explore your oils we’ve put together an education pack. Yep, we’re using our commission that we would make from your purchase to give you this amazing educational package because we truly believe you will fall in love with these essential oils as much as we have! We want you to get off to the best start on your oil journey so you can see just how beneficial they can be for you and your family! A really helpful Essential Oil Starter Guide – It will either be the Essentials Oils Reference Guide that retails for $17 or the Essential Oils Pocket Reference that retails for $25. Both books have over 400 pages packed full of essential oil information. The Essential Oil Starter Guide which is a gorgeous 20+ page booklet that covers uses for each of the essential oils in the starter set. Access to the Oil Explorers Facebook group which is an AWESOME community where you can ask questions about your oils and share experiences with other. An introductory email course covering the basics of essential oil. These items are not provided by Young Living and will be shipped separately from your Premium Starter Kit. *Please note this offer is for residents in the US & Canada only. Click here for details of the UK offer. Here’s a peek at March’s promotion for US members. If you sign up for Essential Rewards at the same time as investing in your starter kit you’ll not only get 10% back in points on your kit but you’ll be eligible for this promotion if you spend the right amount of PV. The Oil Explorers are an ever-growing community of fabulous people who will support you and help you as you set off on your journey into the wonderful world of essential oils. Whether you just want to join the Facebook community and use the oils yourself, or you want to build your own business that you can be proud of we’re here to support you! Congratulations! You’re all signed up and ready to start your journey into essential oils. You’ve got a great deal on your starter kit today, but if I could tell you how you could have that $150 reimbursed would you be interested? Click here to find out how to get your kit for free!